It’s that time of year again where greedy thieves capitalize on the holiday season to make some easy cash. People peer into windows and check trash cans for evidence of what goodies you may have inside. The average family spends around $1000-1500 on new gifts to put under the tree for their loved ones. This is enticing to burglars looking to sweep in, steal your purchases and flip them for a quick buck. So what can you do to protect your home and your belongings? 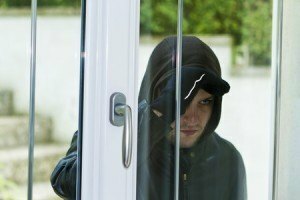 Window film believe it or not is a cost effective deterrent for burglars. Why? Window film promotes privacy and increases security protection on your home. The film is designed to help limit the amount of visibility from the street to your living room. If they can’t see inside they will be less likely to target your property because the risk is greater than the reward. Why would they take a gamble on a home that they don’t know if they will make any money on? Additionally window film can help block entry from the most vulnerable point of your home, your windows. Thieves love windows because they can break them easily and get in and out quickly. Window film adheres to the glass providing a barrier and reinforcing the existing pane. How does it work exactly? Window film won’t completely block out entry into your home but it will minimize the ability to enter by creating a shatter resistant barrier. If you were to cover a piece of glass with several layers of duct tape and throw rocks at it, would it shatter like a bare window? No. It may crack but it will be held together by the adhesive duct tape. You may have to throw several rocks and use excessive force to create a big enough entry point to get in. Window film works the same way. If a window has film on it a thief would have to work and work and work to get his way into your home. It wouldn’t be an easy job for them. This is what deters thieves from attempting to enter homes with window film. They want quick and easy access points so they can make it in and off with your belongings without detection. The longer a job takes to get done, the more likely they are to get caught. Protect your home and your personal belongings you worked so hard for. Whether you opt for solar window film or are looking specifically for one of our security based products, your home will reap immediate benefits from your investment. All films offer a level of security and privacy but not all films are right for your home. Don’t shop blind. Give us a call today for more information and a free quote at 6237804950. Don’t wait for your home to become a target. Be proactive and educate yourself on your options. Our experts are standing by to assist you further.